Whether you’re looking for the perfect entertaining space or a private getaway, unit 11 at 204 Shearwater Court West is the condo you’ve been searching for. Everything in this home, from the grand kitchen and open living area to the beautiful tree-lined patio, is easily accessible from one level. Best of all, this condo is now available for sale in Port Liberte! With 3 bedrooms, 2 and a half spacious bathrooms, and 1,780 square feet of space, unit 11 at 204 Shearwater Court West has just what you need to live stylishly and comfortably. Though this condo has countless upgrades and views like you wouldn’t believe, these are the features that truly make this home stand out from the rest. It’s Move-In Ready with Your Favorite Features! 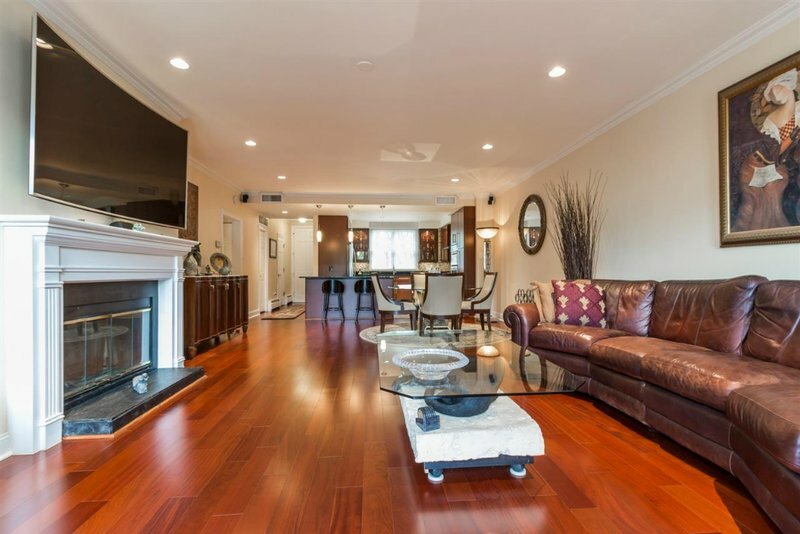 This condominium has been beautifully renovated with all kinds of high-end amenities. There are Brazilian cherry wood floors throughout the unit, a wood-burning fireplace in the living area, luxe finishes in the bathrooms, and brand new windows and doors. You won’t have to lift a finger to make this Port Liberte condo your dream home! If a spacious kitchen with top-of-the-line appliances is at the top of your must-haves list, you’ll love the kitchen in unit 11 at 204 Shearwater Court West! 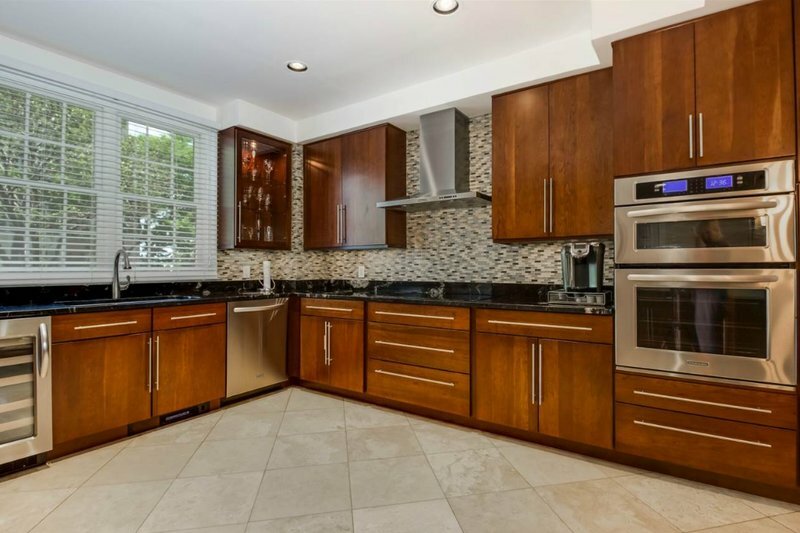 Like the rest of the condo, this gorgeous kitchen has been upgraded with some of the finest features available, including high-end cherry cabinetry and stainless steel Kitchen Aid appliances. Best of all, you’ll have plenty of counter space for cooking and ample cabinet space to store all your pots, pans, spices, and fine table settings. The Port Liberte community is well-known for its unique village-like setting on the Hudson River waterfront. Tranquil canals wind through the community and offer residents an unparalleled waterfront location — and in the case of unit 11 at 204 Shearwater Court West, breathtaking views from the backyard. 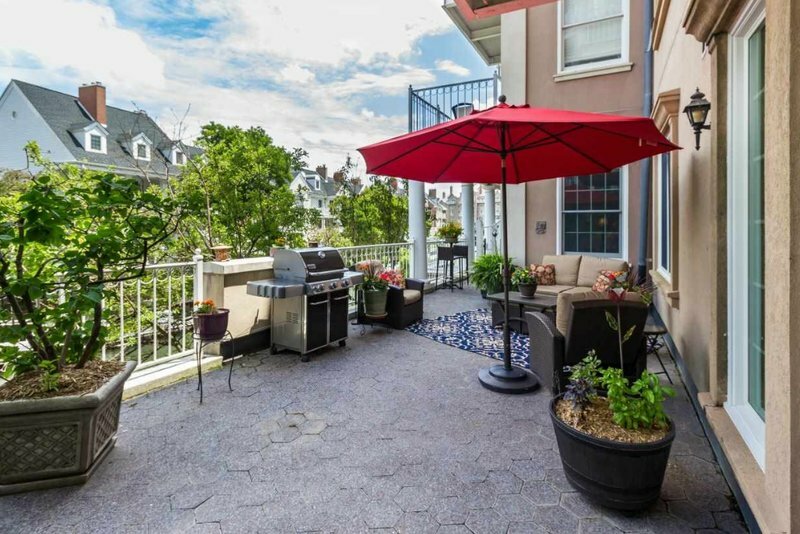 This condo’s spacious patio is the perfect place to read a book on a warm afternoon, gather with friends for an outdoor dinner, and savor the peace and quiet. When you want to spend some time meeting the neighbors, you’re not far from all of Port Liberte’s amenities, including the swimming pools, the on-site ferry, and the waterfront boardwalk. Eager to see more of what this Port Liberte condo has to offer? Take a peek at features, amenities, and photos of this condo here or call me at 201.200.5512. Interested in Unit 11 at 204 Shearwater Court West? This beautiful condo is available for sale, but it may not be for long! If you’re interested in 204 Shearwater Court W. #11, contact me at 201.200.5512 or barbara@barbaraedenrealtor.com for a showing.